Please fill out this form to request a refill. Please note: This is for In-House refills only! 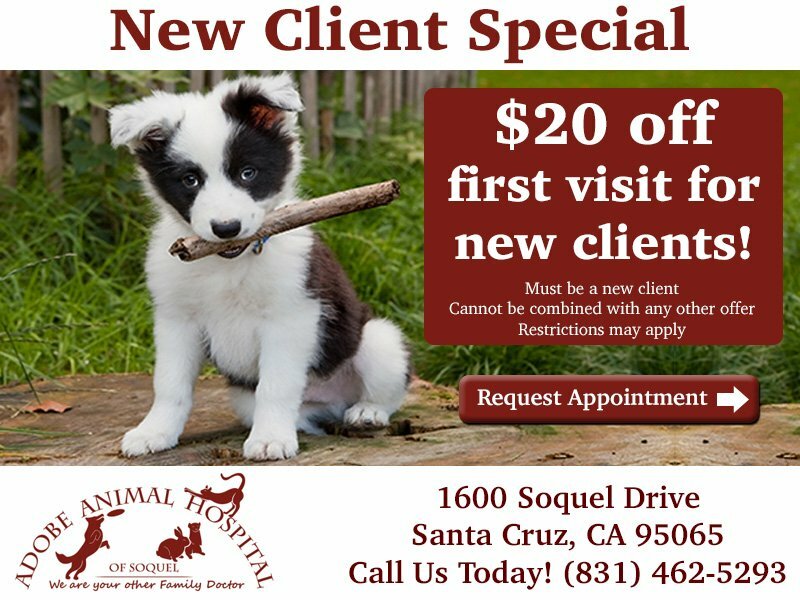 Welcome to Adobe Animal Hospital of Soquel! 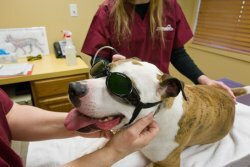 The mission of the Adobe Animal Hospital of Soquel is to practice the highest level of medicine and surgery with compassion while promoting the importance of the human / animal bond for the extent of your pet's life. Adobe Animal Hospital of Soquel is an AAHA accredited hospital; only 12% of veterinary hospitals in North America achieve this certification. The strict standards for membership ensure that our hospital is continually working to maintain the highest standards in veterinary care. Adobe Animal Hospital of Soquel is a full service small animal vet clinic. Doctors Victoria Bannerman, Cristina Topper, and Deborah Moreno are experienced in all types of conditions and treatments. Beyond first rate pet care, our clinic is comfortable, kid-friendly, and fosters a very calm environment so your pet can relax in the waiting room and look forward to meeting his or her own Santa Cruz veterinarian. For each new client that you refer to us you will receive a $20 credit on your account. Simply make sure your friend mentions that they were referred by you during their visit.